A garland of spring flowers crowns this bunny as the May Queen of the meadow. 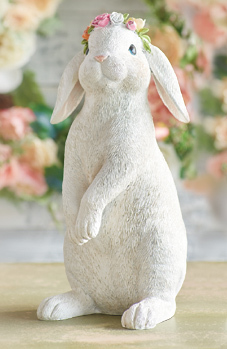 Invite this rabbit royalty to grace your home with her presence. Charming rabbit of hand-painted resin stands 12" high. Gift wrap and rush delivery are not available.